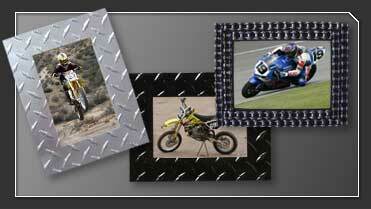 Check out the Roadrash Motorsports Frames section. All frames are vividly detailed wooden 5x7, black finished frames that come with glare resistant glass. Featuring 3 dimensional pewter-look figures. Each frame is created from a one-of-a-kind hand carved mold, and affixed to the frames border. 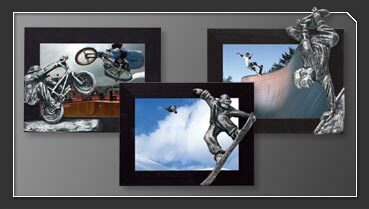 Check out the Roadrash Extreme Sports Frames section.